The majority of my life at the moment is taken up with work or housework (not that I'm complaining about the work bit- love being a busy bee)- but this has left me with only a couple of hours a week for one of my favourite and arguably strangest past times; styling my wardrobe. Now this sounds like a grown-up version of dress-up...and that's pretty much what it is. I don't think I ever grew out of spending the weekend fishing through the dressing up box and creating new characters; but let's face it, that's pretty much what styling is. So out of this neglected past-time I came up with an idea to showcase the latest trends available to buy at Merry Hill and inspiration for styling them to suit YOU. 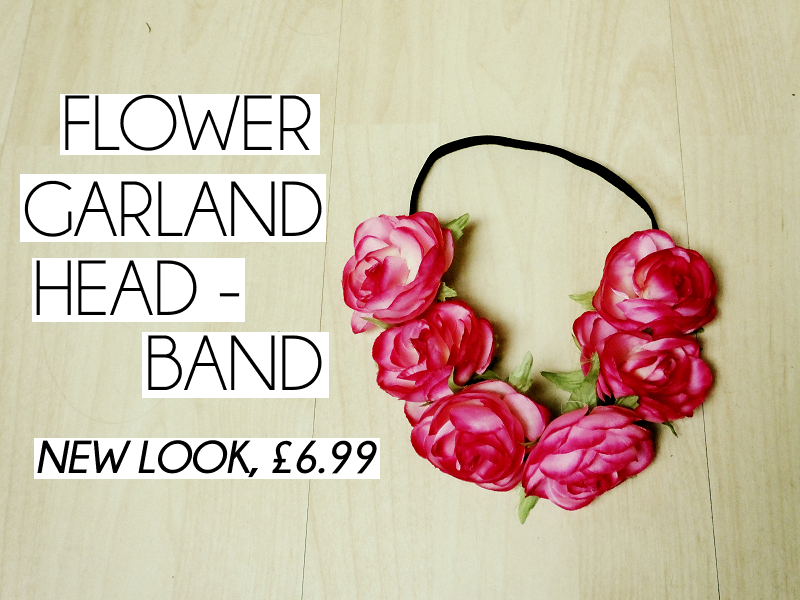 For the first 'Sunday Style Sessions' I will be showing you dear reader, a few ways to rock one of the stand-out accessories for Summer; a floral garland headband. I originally bought this New Look blooming beautiful headband for mine and Khyati's accessories presentation at the S/S'14 Fashion Media evening but thought it would be great for this feature as it's a fairly bold accessory but one which CAN be tamed down for daily wear. 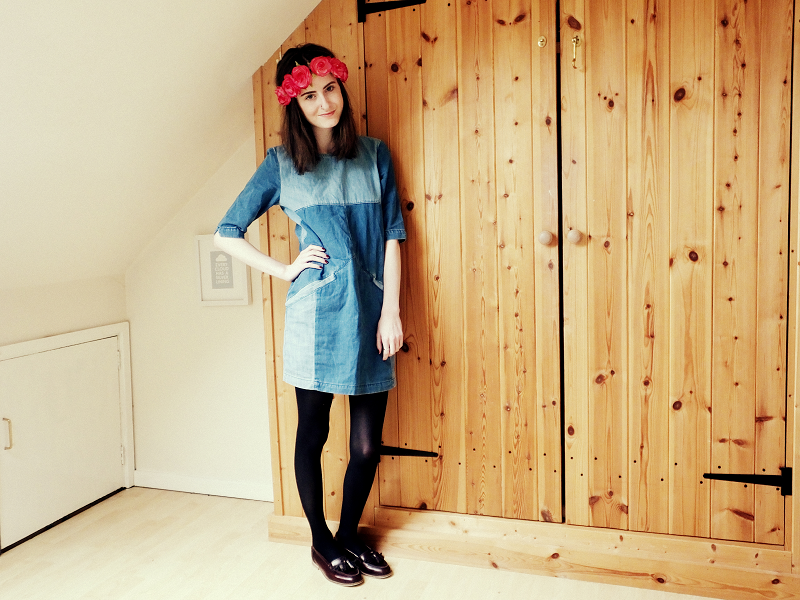 A denim smock and loafers go hand in hand with a floral garland...a quintessentially, modern English trio. The denim smock has been made into quite a wardrobe staple thanks to Alexa Chung et al, and the floral garland really adds a pop of colour to this otherwise quite plain outfit. When Summer really arrives you can swap the tights and loafers for bare legs and espardrilles and add a pair of Wayfarers to channel your inner indie girl. Granny chic is still a 'thing' in 2014, so we may as well embrace it whilst the retro blouses and pleated skirts are still considered sartorially sound. This is a super feminine, vintage inspired get-up for ladies who love their pastel palettes and all things from yester-year. Perfect for impressing at fashionable parties or even family gatherings...you and your Nan can compare pleated skirts over lunch. This is probably my favourite look, probably because the basis of the outfit is a leather jacket and skinny jeans- two of my wardrobe staples. But yes, this is probably the easiest way to style the garland on a daily basis because it's subtle yet still bursting with style. This also makes for a great transitional outfit- just add some strappy heels for a night-time friendly spin. And as my feet seem to have been engulfed by the sunlight pouring into my room (yay sun! ), here is a better picture of the glimmering foot candy. Pretty awesome huh? 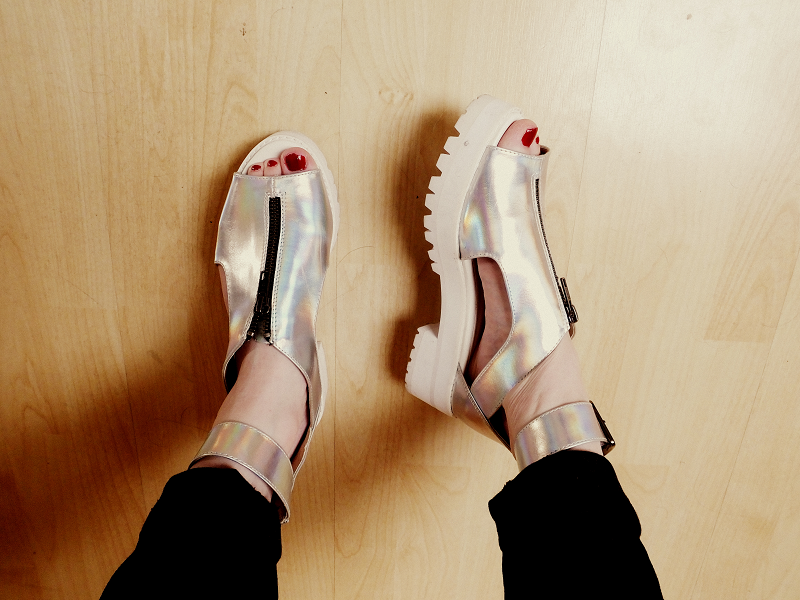 Metallic shoes are bang on trend and really add a unique twist to an average daytime ensemble. 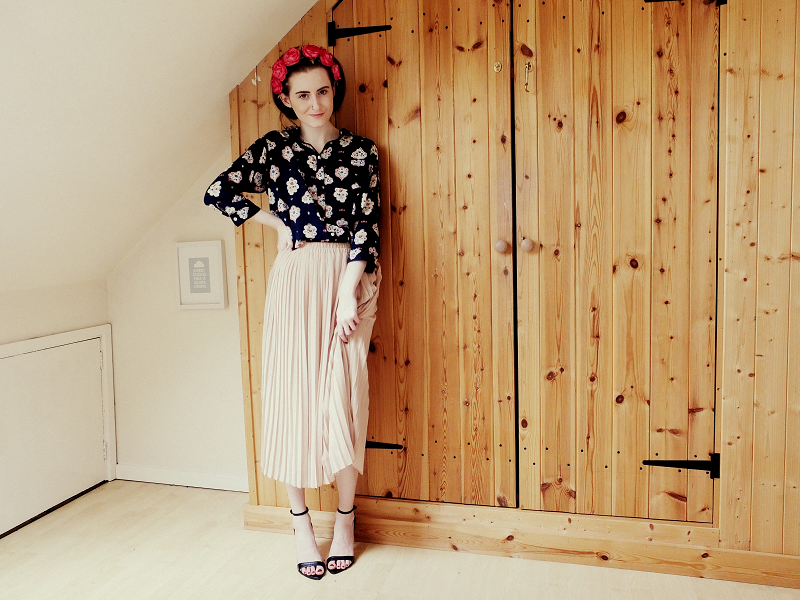 The final look I put together was one where I see a floral garland truly flourishing- at a festival! The floral headband pays homage to the original Flower Children who started the whole festival revolution and looks effortlessly cool alongside a retro jumpsuit, battered light wash denim and Chuck Taylors. This would also go down a treat in the trendy East End of London- which is actually where I acquired the jumpsuit from a few years back. I hope that has given you some ideas for styling a floral headband, and perhaps even inspired you to go out and buy your own! The Merry Hill branch of New Look currently has quite a wide selection of garlands- bigger flowers, smaller flowers, different flowers...starting from about £3.99. Oh and please comment below with any suggestions for the next Sunday Style Session.